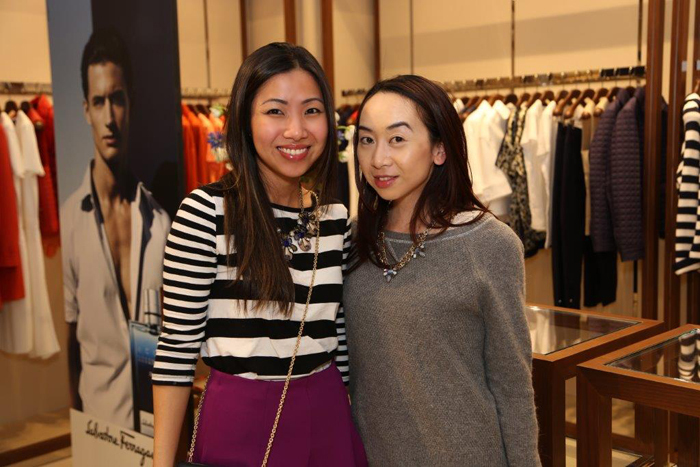 I had the pleasure to support my dear friend, Claudia at the launch of Salvatore Ferragamo‘s newest fragrance – Signorina Eleganza at the Yorkdale Mall boutique earlier this month. 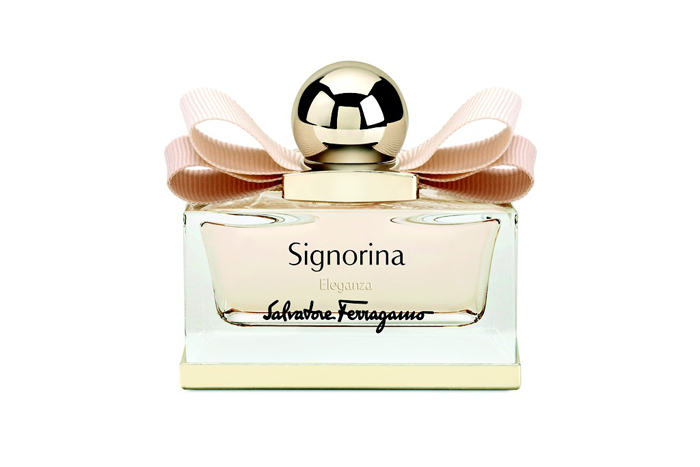 Signorina Eleganza is a luxurious fragrance that celebrates feminine grace and seduction. The scent smells awfully yummy with fresh head notes of grapefruit and pear, mixed with base notes of patchouli and white leather creating a dry-down effect that leaves a luscious lingering scent on the skin. I am particularly fond of the packaging of this bottle, with a precious golden base and the famous gros grain Vara bow in two shades of beige. I’ve always had my heart set on the Vara bow, it is so classic and timeless. Here is how you can win, enter the draw by using the WIDGET below. Contest is open for two weeks, from March 18, 2014 12:00 a.m. EST to April 1, 12:00 a.m. EST. This contest is only opened to Canadian Residents only, the winner will be sent this prize via Canada Post. 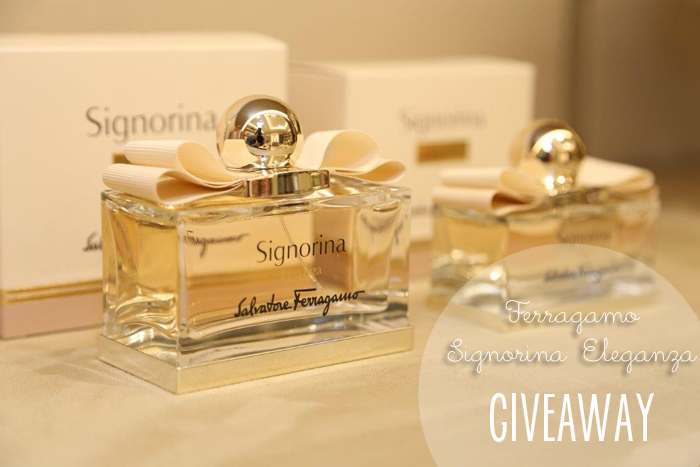 +10 entries by leaving a comment and telling me what your go-to fragrance is! Enter the draw by using the widget below. Good luck to you all! Winner will be announced on this blog post, Facebook, and Twitter by noon on March 25, 2014. So please check back! Good luck! Vera Wang Princess or Viva la Juicy. Viva La Juicy is a great choice! Good luck! That’s one of my favorites too! Good luck! My go-to fragrance is Amazing Grace by Philosophy. Miss Dior Cherie edt is my go-to fragrance. My go to fragrance is Burberry Classic. Viktor & Rolf Flowerbomb is my go-to fragrance. 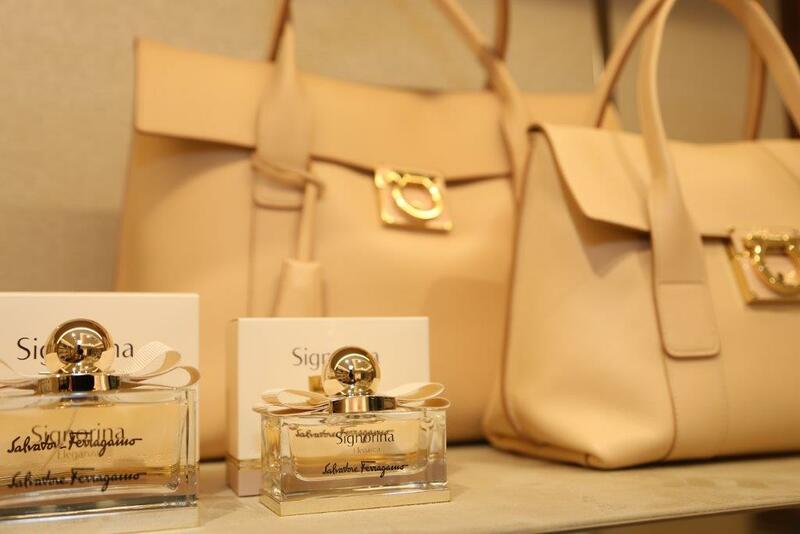 My faves are Parisienne YSL or Stella Stella McCartney! My go-to fragrance is Light Blue by Dolce & Gabbana! So light and pretty! Ralph by Ralph Lauren. Always been a fave! My go to fragrance right now is Harvey Prince fragrances. I picked up a victoria secret bombshell in paradise perfume for 75% off during their last semi annual sale. Smells amazing, my new go to fragrance! I know a lot of people don’t like it but I just love Prada Candy. My go to fragrance has to be Daisy by Marc by Marc Jacobs! I switch it up, but right now I love Hot Couture by Givenchy! D&G Light Blue is simply heavenly!! It’s my go-to right now, or actually, whenever i need a pick-me-up! This is my everyday go to work fragrance! Thanks for the chance. I love this perfume! My go-to fragrance is Candy by Prada.